Chris is here today to shows us a 'book in a box' idea. These are a lot of fun, but boy can they take longer than you expect, you finish one side, then there is the whole other side to go...and Chris toiled for 4 days to produce this wondrous scrapbooking-mixed-media hybrid book, and wait till you see how she's used Infusions with the Oxide inks!! Hi everyone, it's Chris Cresswell from loopsandlines.blogspot.co.uk with you today, and I'd like to share with you my 'Book in a Box'. I have loved making this project for several reasons: it incorporates my 'go-to' favourite colour combo; I was given 'free-reign' as to what I could make; I could use some of Tracy Scott's fabulous stamp sets - brilliant for art journaling - and it was an opportunity to create a mini photo album of my favourite little people - my five gorgeous granddaughters! I recently bought a medley of mini books from the lovely Carol Fox in Tracy Evans' Declutter group which included the 'Book in the Box' I have used here. I'm unsure of the make as it wasn't in its original packaging, but I'm guessing Creative Imaginations. 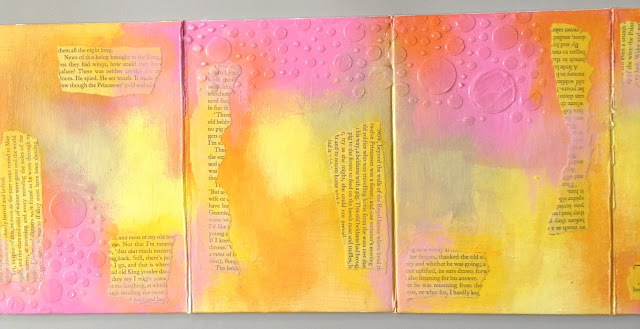 Tracy's stamps are perfect for art journaling which is my first love, so I treated each surface as a large art journal page. However, I also intended to use a variety of mixed media to complete the whole project which took me four days. No one day workshop here! So how did I get from this blank canvas to ... this? When I'm art journaling, I use a lot of paint - and a lot of colours. These are the ones I started with but I probably added a few more along the way. My huge box of Frescos is right beside me and too easy to keep dipping into for 'just the right colour'. I'm not going to explain the build up of the way I decorated the box (and the back of the concertina book inside) as I have done that on my blog, but I will show a few photos of the key steps I generally use: collage, paint, stencil, stamp. I love using this structure as it builds a page relatively quickly and puts me right bang into the middle of my comfort zone! I've used a little Fresco Chalk Elephant across the spread, a tip I learned from Kate Crane @ TheKathrynWheel, which helps to 'neutralise' the use of so many bright colours. I've also used a bubble stencil to add some 3D gel medium through. 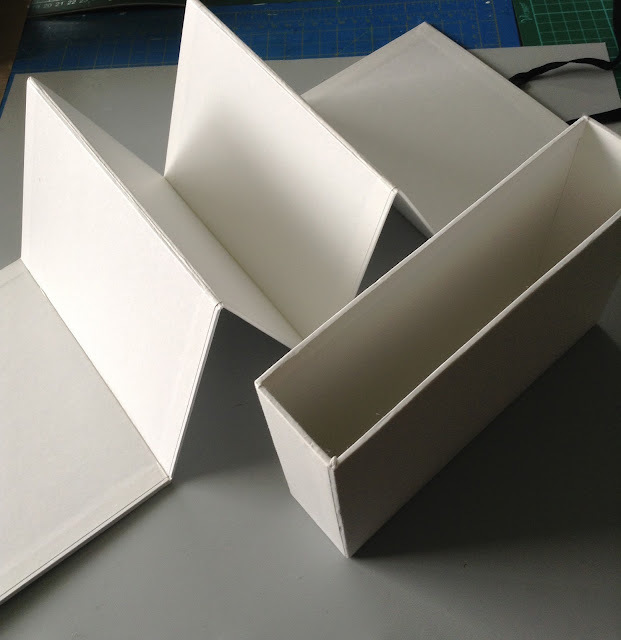 You can see here that I've completed the box cover in the same way as the concertina book. When adding a stencil layer, I start with the lighter colours, already used in the spread, before adding darker colours from the same colour pallette - Fresco Chalk Bougainvillea will always make an appearance somewhere in an art journal spread. I love that colour. I've also added touches of Fresco Chalk China to contrast against the yellows, oranges and pinks, just to add some interest. I've used a mixture of Crafter's Workshop stencils and PaperArtsy: PS031, PS021 and PS011. And now the stamping. These delicious stamps are taken from Tracy Scott's first set: ETS01. I used Ranger's/Tim Holtz Distress pens to colour the stamps in after I had added more stenciling in black and a few extra marks here and there. I used Gelatos to add colour within the circles, created with bottle/jar caps, which added a lovely transparent layer to the colouring. A little doodling with a white gel pen completed the spread. Now for the inside pages. 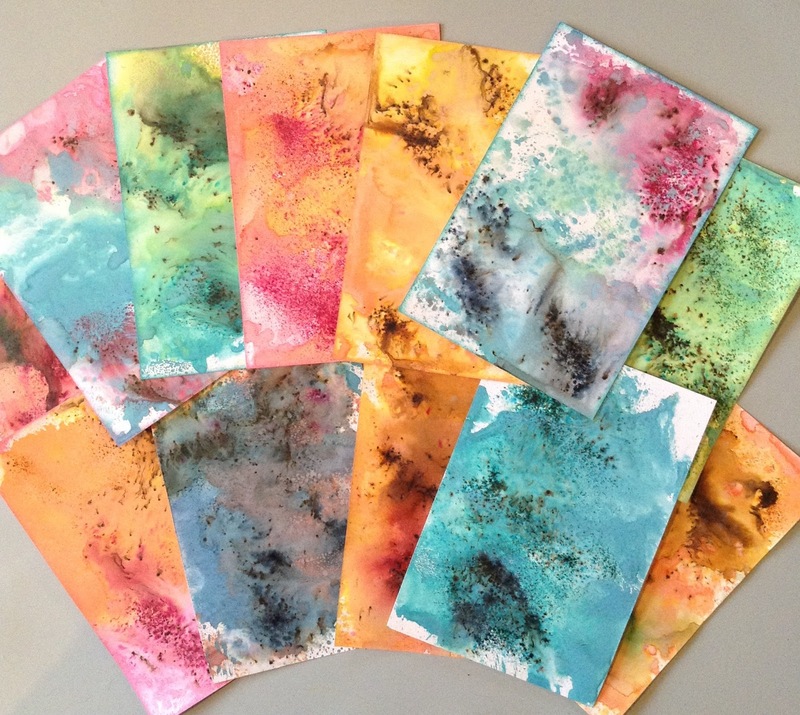 I used PaperArtsy Smoothy 240gms card to prepare some backgrounds for the photos, using Ranger Distress Oxides. I'm no expert with these oxides (I'm no Lesley Ebdon who is a whizz with these) but I am pleased with the ones I eventually selected to use. I tried to remember Lesley's tip of not swooshing the card through the saturated colour on the craft sheet, but just to dab. Easier said than done when you are heavy handed like me! 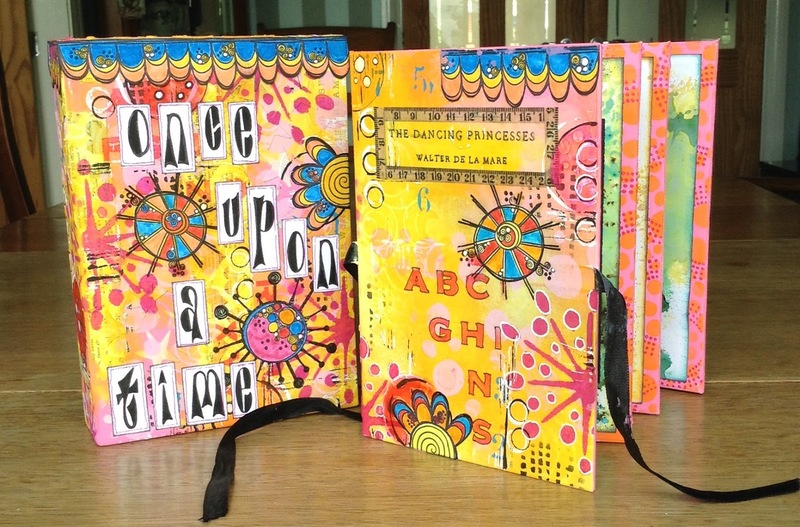 They were vastly improved with the addition of some PaperArtsy Infusions I tried to match similar colours. I used: Golden Sands, A Bit Jaded, Olive Tree, Sleight Blue, Magenta and Frankly Scarlet. They add a gorgeous layer on top of those Oxides. ...to stamp and cut out the images to embellish the photos. Again, they were coloured in using a Distress pen. I will add some journaling to each page later. I made good use of Tracy's stamps, as you can see from the final result. The box was completed in the same way as the reverse of the book, and only needed the addition of a title. Here I've used a Dylusions text stamp set from Stampers Anonymous to create the words. I have added more photos and more detailed explanations of how I created the journaled background, if you are interested, on my blog. The current topic link Topic 11 (Books: Mini/ Maxi/ Binding) will close 17:00 (London Time) Sunday, August 20th 2017, and the winner will be announced 2 hours later at 19:00. Oh Chris....this is amazing! Totally your style. I absolutely love your project. Lovely concertina book to hold some precious photo's Chris. Love the colours on the box, reminds me of fruit salad chewy sweets!!. Really love the results with the Infusions and the Oxides, must try that out. your book in a box is just gorgeous, love the colours and the stamping. Thank you so much folks. I really loved making it! You're right Miriam, this is so my style of journaling! I'm in my happy place creating like this. I love Bryan's comparison to those chewy, fruit salad sweets we had when we were kids! Those exactly! Perhaps that's why I'm drawn to these colours ha ha! 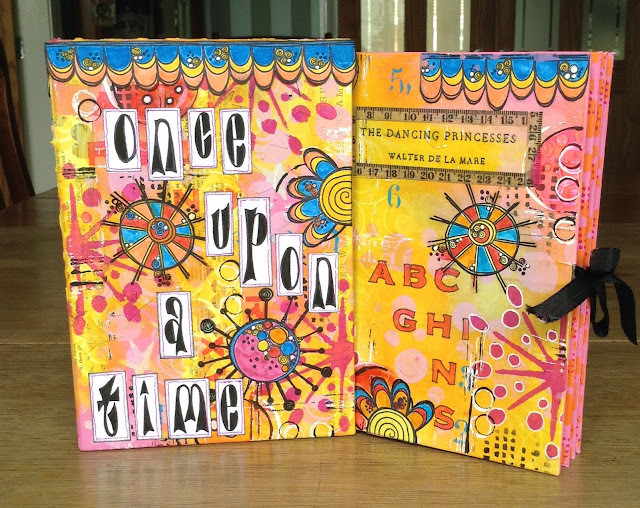 Love the colours, stamp and stencil combination, perfect example for this challenge. POW! 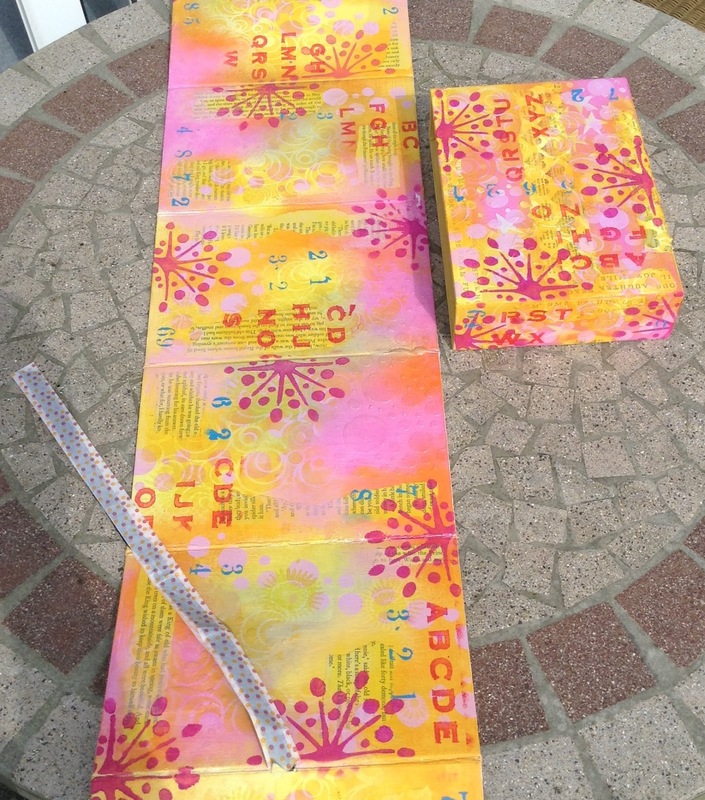 Such a colourful and fun project. Love it! Dazzling book, in both the radiant colors and the clever and remarkable design. Cheers! 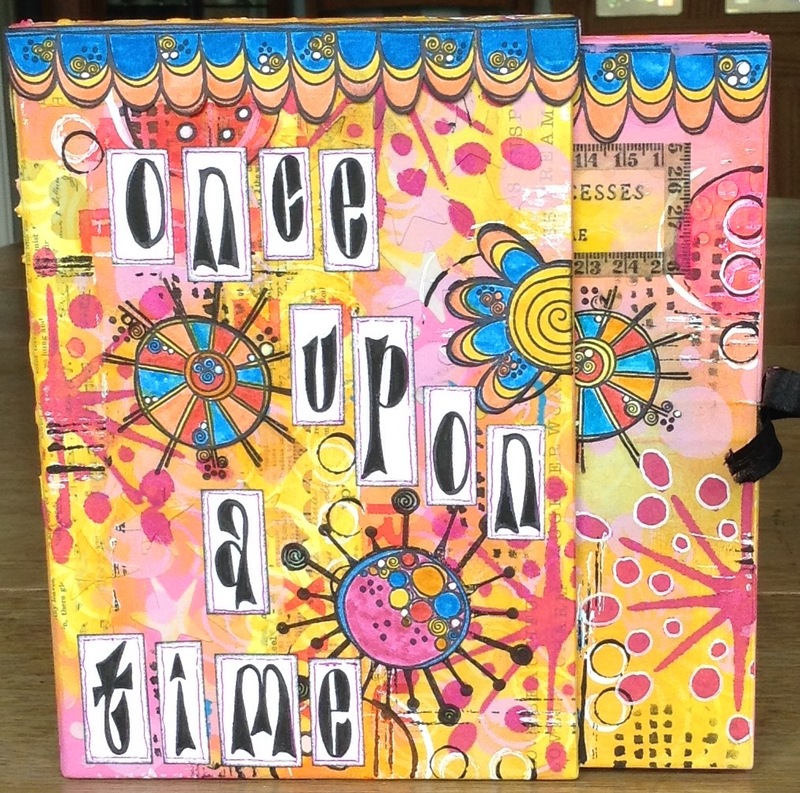 Wow Chris, I've somehow not been in the mood for blog visiting for a little while but I am so glad I decided to work backwards over the posts I missed on my favourite blog (PaperArtsy). This is even more amazing than the little peeks on good old FB led me to expect! So zingy and 'alive' not to mention the lovely photos of your VIPs. I am very envious of your ability to use so many vibrant colours without ending up with something which jars the sensibilities, not to mention all the fabulous layers with different techniques. Thank you so much for your kind mention of my use of the Oxides but I don't think my techniques are in any way better than your own and if my little tip helped you on your way then I'm happy. You've done a wonderful job with them here and I had been intending trying the Infusions with them so thanks for showing how brilliantly they work together. Thanks for sharing this really special keepsake book.